With summer just around the corner, the weather will be heating up in no time at all, making it an important time for outdoor workers to become familiar with the signs and symptoms of heat injuries, as well as measures they can take to prevent such injuries. If injured workers end up sustaining heat stroke, heat exhaustion or any heat-related injuries on the job and they end up needing medical care/having to miss work for some period of time due to the effects of these injuries, they may be entitled to workers’ compensation benefits, and they should consult with an experienced Denver workers’ compensation attorney like Jennifer Bisset to learn more about their rights. Heat injuries like heat exhaustion and heat stroke typically occur when a person’s body is unable to properly cool itself down due to excessive exertion in hot conditions coupled with dehydration (factors like alcohol consumption and overdressing can increase the risk of heat injuries under the above-mentioned conditions). Dizziness, faintness and feelings of lightheadedness upon standing. If left unrecognized and untreated, heat exhaustion can lead to heat stroke, which has the potential to be life-threatening. Knowing the symptoms of heat stroke is critical to knowing when outdoor workers should get help and prevent potentially fatal complications. For more important information on heat exhaustion and heat stroke, don’t miss the upcoming second and third parts of this blog. 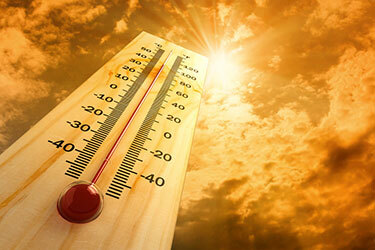 Have you sustained heat exhaustion or heat stroke on the job? If so, Denver Workers’ Compensation Attorney Jennifer Bisset wants you to know that she is here to aggressively stand up for your rights and help you obtain the benefits to which you are entitled.